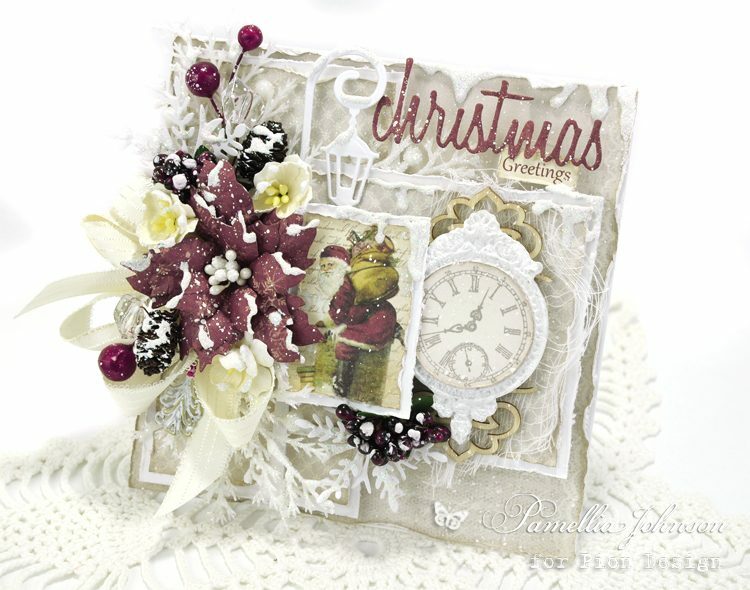 Today I am sharing a card that combines three Pion Design collections. I love that you can use the papers from these collections long after you have purchased them, for any occasion that comes up. I have used collections “The Night Before Christmas”, “Scent of Lavender” and “Where the Roses Grow”. 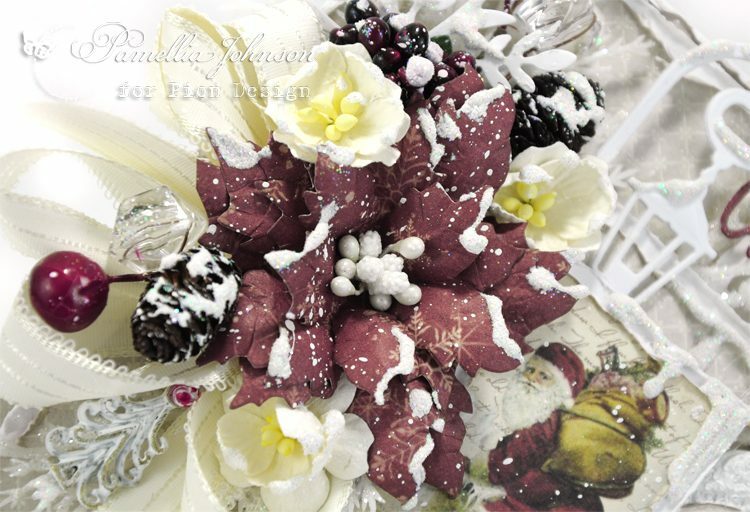 The Pion Design papers work so well for hand made flowers or poinsettias, creating a perfectly coordinated card every time! with these papers you are sooo clever . 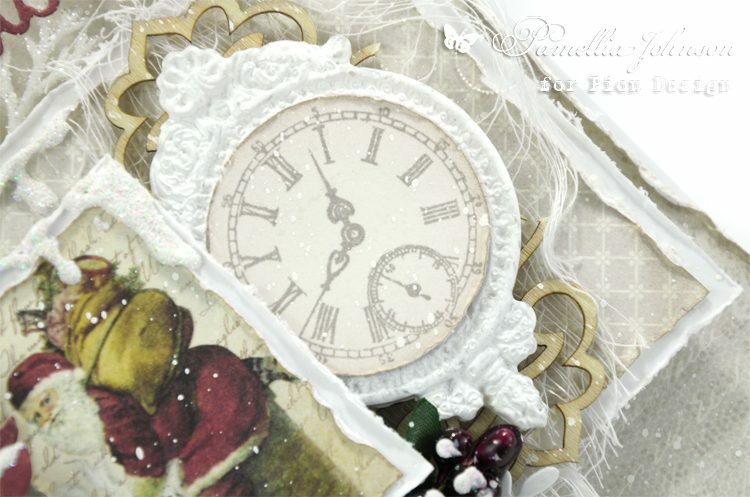 Stunning layered card from Pamellia – wow!